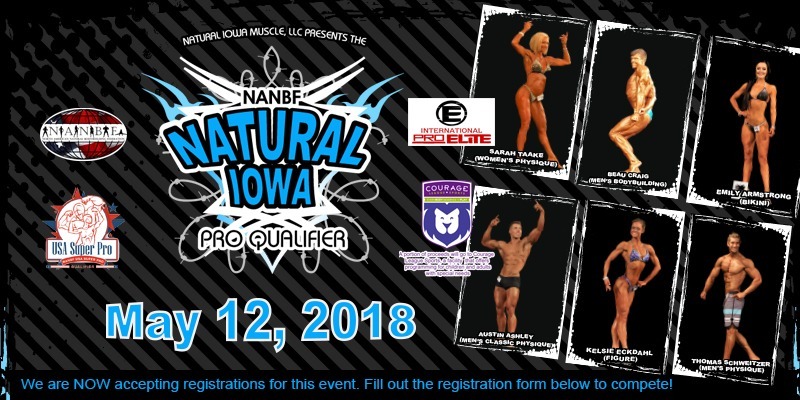 The 24th annual NANBF Natural Iowa is set for May 12th, 2018 at Hoyt Sherman Place in Des Moines, Iowa! Come be a part of one of the longest running drug-tested competitions in the country! This is an IPE Pro Qualifier. Below is the final schedule for the day. **Note-we WILL NOT start prior to these posted times. However, if delays occur, times will be adjusted later accordingly. This is a continuous format; Prejudging to routine/walks to finals in each of the respective groups above. Is their a guest hotel and grocery store close to the venue? I would like to fly in for the show and not rent car. Would be a spray tan available? Great questions Doug. There is a grocery store very close to the venue. About 2 blocks away. They have complimentary shuttle service to the airport as well. Spray tanning appointments will be available throughout the day and evening, they are spraying at the host hotel. Let us know if any other questions! Hi Ryan, I am a first time competitor and I have a few questions I couldn't find on the website or Facebook. Is there a host hotel? Are appointments being set up for the lie detector and urinalysis test yet. What is the check-in time for the show? Will there be a Master's 50+ for Women's Figure? Hi Dee, There is a host hotel and you will schedule your appointment for the polygraph (lie detector) when you submit your entry. You will also get a link to the host hotel block. Check-in is Friday evening from 6:30 to 8. There is a 50+ class, you can register here: http://register.naturaliowamuscle.com/ Upon registering you will get this and much more information but don't hesitate to reach out, thanks! What hotel is the guest hotel? West Des Moines Marriott, which is where check-in, polygraphs and spray tanning will be taking place. Where do you sign up for tanning? You should have received an email when you submitted your entry that has this (and more) information. If you did not, check your spam file first to see if it landed there, if still not there, email: [email protected] as it has other information you will need. 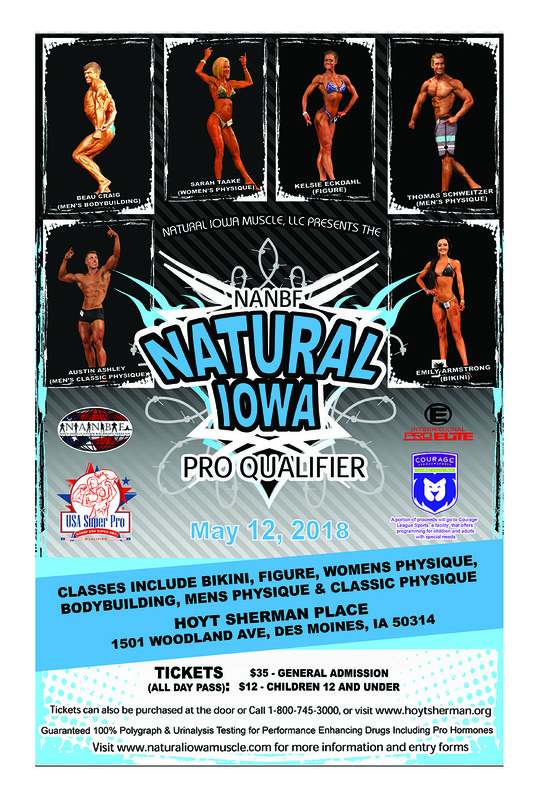 this is my first show and I am competing in the bikini division. I noticed it said it is at 5 pm. what time are we actually expected to be there? We'll send out an email with times for all categories to report once the entry deadline is up, but it should be within an hour of the projected time, thanks! Hi I have reached out to the lady who is the head of the tanning and I haven’t been able to get in touch with her in a couple days. I still need to schedule an appointment for Friday. She hasn’t answered her phone and I’m wondering where I should go from here in terms of getting the appointment set up. Hi Kasey, She should be returning your text or email shortly if not already. [email protected] or 515.988.1461 thanks! Yes, please send an email to: [email protected], thanks!